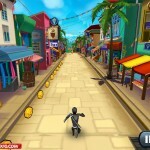 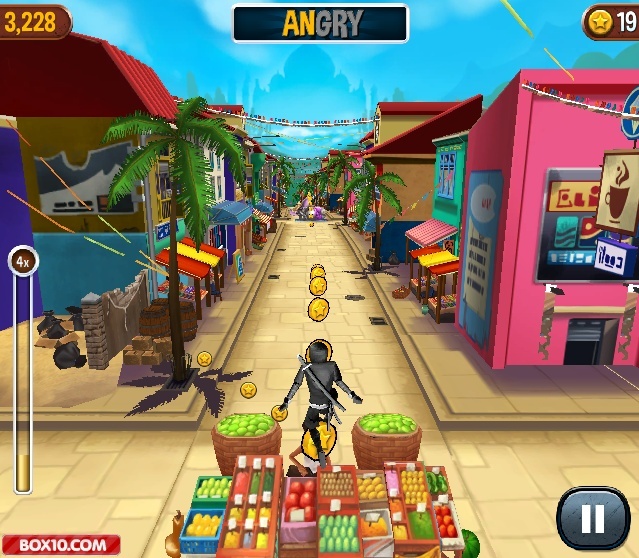 Runner Action Unity 3D Android Box10 Click to find more games like this. 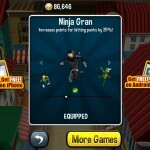 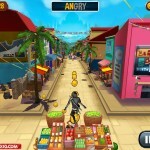 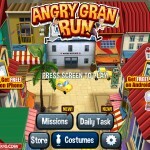 Angry Gran Run India is an endless running game. 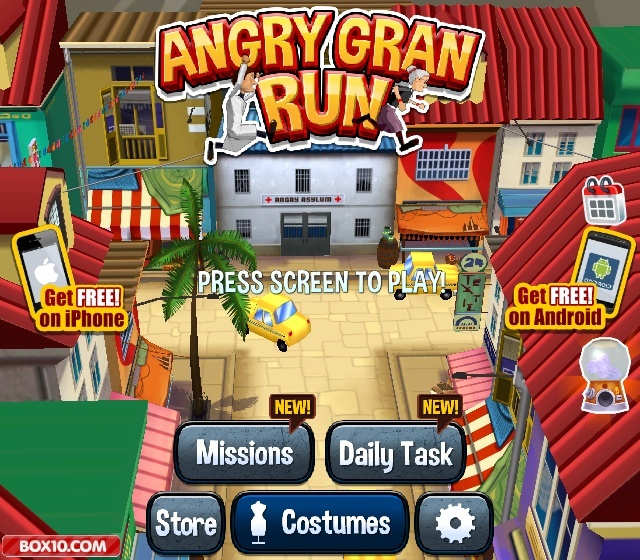 Join Angry Gran as she heads off to India in this latest edition of Angry Gran Run. 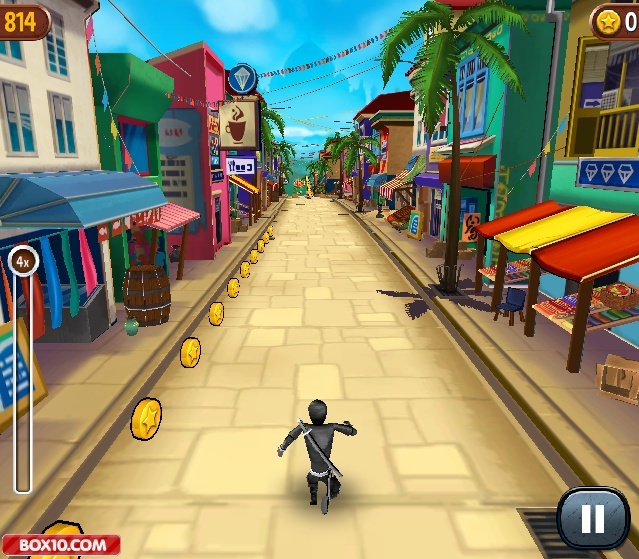 Run through the streets of India, bashing no-good punks and avoiding obstacles, including snake charmers, magic carpets, sun-bathing elephants, and fez-wearing dinosaurs! 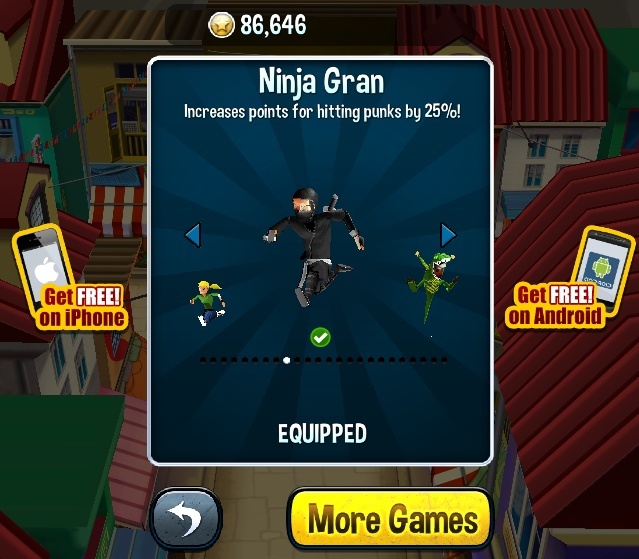 Featuring two new characters for you to unlock!